Tube Frame Straight Wall fabric displays are basic aluminum tube frames covered in zippered pillowcase stretch fabric graphics. 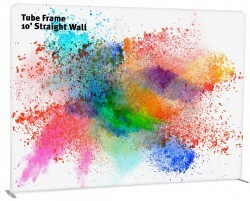 The Tube Frame 10' Straight Wall has a total graphic area of 119.25" x 92"
Can replacement graphics be ordered in this size? I do not see the option on your site. Yes, if you look in the Related Products tab on the product page for the display, you'll find the replacement graphic, or you can also find it in the Replacement Graphics category from the main menu or by using the search function as well. Good afternoon - what is the return policy if we are not satisfied with the product? 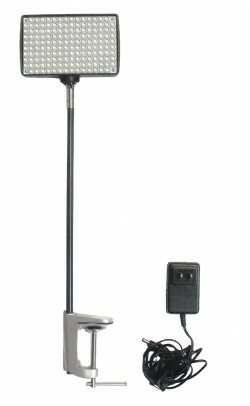 Is there a showroom in the Detroit, MI where I could see the product? Most displays are returnable in new condition, but you would be responsible for return shipping and there is a 20% restocking fee. Graphics are not returnable as they are custom made. Our showroom is in Utah, so that won't help you, but if you have any questions on the display we can answer in advance, we're happy to help. This is a very simple display, so there shouldn't be any surprises, but if you let us know what qualities you're looking for in a display, we can help decide if this is the right product for you so you don't have to return it. Tube Frame Straight Wall fabric displays are basic aluminum tube frames covered in zippered pillowcase stretch fabric graphics. 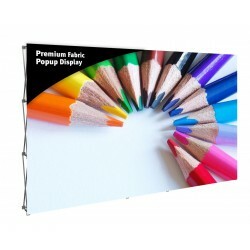 This entry level graphic backwall display features rounded corners and bungee cord connected frame sections that connect with snap button assembly so the entire display can be quickly assembled without tools. This also makes the displays easy to store and inexpensive to ship. 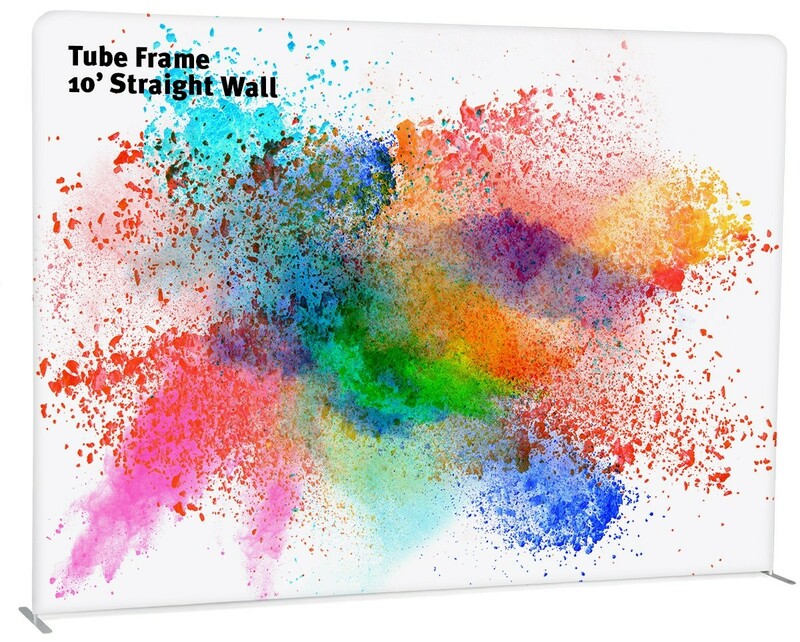 Available in 8' and 10' horizontal curve and straight frames. The premium fabric zippered pillowcase graphics are dye-sublimated using the latest printing technology to provide rich, vibrant color images that are durable and can be dry cleaned. These graphics are printed and hand-sewn in house on fabric that is also made in the USA to ensure the highest quality, consistency and proper fit. 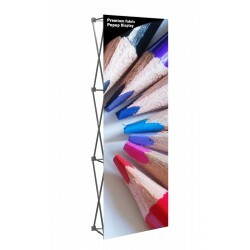 The Tube Frame 10' Straight Wall tension fabric display has a total graphic area of 119.25" x 92". It comes complete with the frame, zippered pillowcase stretch fabric graphic, and canvas carry bag. 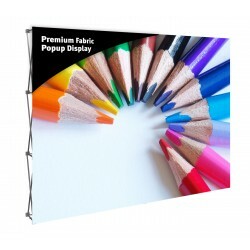 The Expand GrandFabric is our top of the line pillowcase fabric display that comes in a wide range of sizes, and has special hinged connectors that allow multiple graphics to be connected together into a variety of shapes.. 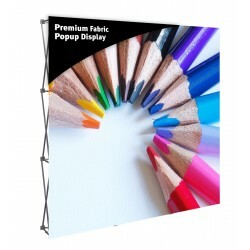 The Tube Frame displays are our least expensive tension fabric pillowcase style models. The Large Molded Shipping Case is the recommended shipping case for this display. It can be ordered from the Related Products tab. Graphic size: 119.25" x 92"
Shipping size: 32" x 13" x 8"